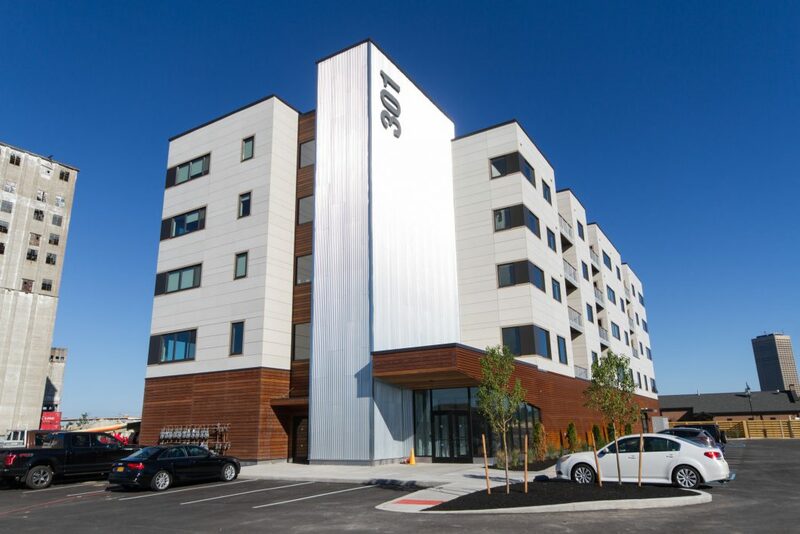 This exciting property, located on the Buffalo River, is directly across from Riverworks and is one of Buffalo’s newest contemporary structures, comprised of five floors and 52,000 square feet of all-new construction. The 9,680 sf of available commercial space includes second floor office space and a first floor restaurant. The restaurant area features riverside seating that will be adjacent to a property-long dock, accommodating boaters. Large dedicated parking area for tenants and customers. Great views of downtown Buffalo with close proximity to the I-190.